One day, while i was walking through the alleys of central k.l, I heard a deep rumbling coming from a nearby corner. I could've missed it, if i had been listening to my pink iPod nano. Curious, i round the corner to check out the source of the sound. To my shock and horror, a huge dragon was there flexing its wings and breathing out fiery wisps from its nostrils! I quickly took out my Vorpal blade from my laptop backpack and unsheathe it from its bejewelled scabbard. In a hurry, i wrapped my backpack as best as I can on my left arm so that it could work as a makeshift shield. Hopefully, the flimsy MacBook Air within it could withstand the blows that it's going get (no pun intended). At the very least, It could shield my eyes from the heat of the dragon's fiery breath. I took a stance called "The Heron's Whimsical Flight" that i have read from a fantasy story book and I held up my blade towards the dragon. The blade was heavy and the heat from the dragon is making my palm damp with sweat. Furthermore, i was terrified to the core. How often in your life do you have to face a dragon? I mustered my will and tried to hold my stance as firmly and confident as I can. A heartbeat after i took the stance, the dragon took notice of me. He, It, gazes me with its amber eyes. I swear that I could see scorn in its eyes. With an almost faltering voice I yelled at it, "Halt! Dragonkind! You may not spread your chaos here! I, Taqiyuddin Bakir! Guardian of the Sixth Circle of Ley and Fey will not allow it!". The dragon continued his unblinking gaze. "This blade! Vorpal of Elendilinthil Sky Caller will taste your heart before you wrought your mayhem! Leave now! And you will find peace! Stay, you will be slain!" I continued to warn the dragon. Only God knows that my heart was pumping like a two stroke cylinder engine. I hoped that the dragon do not know that I was lying about me being the guardian of Sixth Circle of Ley and Fey, that the sword was once in the charge of Elendilinthil Sky Caller. I've never heard of them before, until after I met the gypsy on the corner of Jalan Tunku Abdul Rahman , near Semua House. She told me all about it while showing off the Vorpal blade. I always wanted a sword, and the Vorpal blade was beautiful. In the end, it costed me a full fifty ringgit! Thankfully, i managed to haggle it down from two hundred. Gypsies! They'd sell their arms and legs and offer you the world if they could. So I stood there, holding my blade up high while trying to look mean and strong. The dragon continued gazing at me. I did not know how this is going to end. I was hoping the dragon would fly away after i waved my blade around and yelled a bit. I was sorely mistaken. Suddenly, in a rumble like boulders rolling down bukit melawati, the dragon said "What makes you think that I am going to spread chaos and mayhem?". "Uh, I read about dragons in books. They're mean and dangerous", says I. "Which book? ", says the dragon. "Gee, I can't recall. But I'm sure there's one where a dragon razes a city to ashes". "Go home Guardian of Sixth Circle! Go home and check wikipedia on dragons. There's no account of dragons razing a city or spreading chaos and mayhem". "Yes, none. But there are a lot of stories where a knight slays a dragon, and often it was without any justification". "Uh, are you sure? You could be lying and I can't tell if you do". "Why don't you go ahead and check wikipedia", says the dragon suggestively. Without hesitation, I unwrap my backpack from my arm and took out my MacBook Air. I connect the MacBook to my phone via Bluetooth to access Celcom's 3G. In a minute of or, I was already surfing the web. "It's h, t, t, p, colon, slash...". "Dragon! I know where wikipedia is! I've been reading it all the time! ", i said angrily as i am rather annoyed by the dragon's assumption that i do not know wikipedia (sheesh!). So to demonstrate my internet literacy, i typed the keyword "dragon" in my safari's google search box. As I was about to press the enter key, I saw in the corner of my eye, the dragon starts to smile, baring it's pearl white teeth. I turned my head to face the dragon and saw the dragon's smile gets even broader. In a moment of slow motion, like watching a piece of buttered bread falling off the table butter side down, I realized that i am now defenseless. I had put down my Vorpal blade to type in the keyword and I had unwrapped my makeshift shield to take my MacBook out. I stared to dodge behind a Majlis perbandaran's skided dumpster as the dragon started to breath out a ball of fire. The ball of fire striked the place where i was squatting a split second ago, engulfing my MacBook Air and Vorpal Blade in blue black flames. I quickly turned my back on the dragon and started running as fast as I can. The hairs on my neck prickled up when i heard the sound of beating wings and feel the brush of hot air on every surface of my exposed skin. In a moment of terror, the alley was lit with an orange light, coming from behind me. I know that the dragon have unleashed another of its ball of fire. I can see my shadow stretched in front of me. The shadow shrinks and grew shorter and shorter as the fire ball races towards me. A moment before my shadow got too short, I ducked inside one of the back doors that lined the alleyway and closed it's metal doors. Foom! The building shook as the ball of fire hits the bitumine road. I moved away from the metal doors towards the front of the building. In the distant, i heard the dragon's roar "You can run Guardian! but I will hunt you down like the animal that you are!". I got quickly of the shop house, and made my way to the Central Market LRT station. Always staying underneath the kaki lima walkway to hide from the dragon's aerial view. Everytime there a swoosh of strong wind, i would duck inside the shops for fear that the dragon might see me. After intense running and ducking, i managed to arrive to the LRT station unscathed. I bought the ticket to Kelana Jaya and made my way to the terminal. There i scanned the sky for the dragon but thankfully, it was nowhere to be seen. Since that day, I never encounter the dragon again. Maybe it is bidding its own time to strike me when i least expects it. It have proven itself to be quite resourceful and sneaky. I am thankful that I escaped alive, though i regret that i have lost both my Vorpal blade and MacBook Air. I did went back to the alley a couple of times after the encounter to possibly retrieve back my MacBook and sword, but i found it. I sure miss it. But at least, i am left with a good story to tell my grandkids, about how I lost my MacBook Air. And the Vorpal sword. 3) I can finally type without looking at the keyboard. 4) I've got a thermos mug with the name of my current employer printed on it. It's a little thank you gift given to me after i helped the guy in charge distributing the mugs. 6) I've always wanted a pair of wings. 7) And wolverine's adamantium claws. Since dila recently posted an entry about a book she read. I feel the need to do so too. 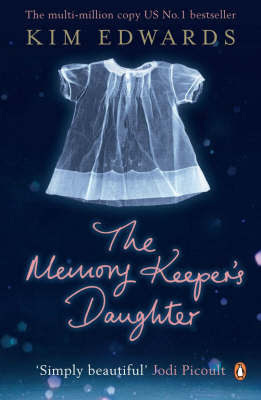 I've recently finished reading The Memory Keeper's Daughter. It took me quite some time to do so, mostly due to meeting deadlines and drowning my sorrows in games (which always happens when there's deadlines to be met. Ah! the vicious cycle!). The book tells the story about secrets. Or rather the lives that are affected due to secrets and wrong choices. It follows the life of David, his family and also Caroline, David's co-worker. How the choice that David makes shapes his life, his family and also Caroline's. In the book we see how their life unfolds in a sort of a parallel narration. In something like a 'what might have been'. Shoot! i can't write a decent book review! Just read the damn book! it's nice. Why is it nice, you ask? Because i say so! Maybe i should write book reviews more. Did you know that Neil Gaiman started off writing book reviews? Well he did. But it was so that he'd get to know people in the industry and get some networking going.